Watch cricket like never before on Sky’s new dedicated cricket channel this summer, as part of the biggest ever change to Sky Sports. Sky has led the way for change with a brand new set of dedicated sports channels this July and one exciting new addition is Sky Sports Cricket (Sky Channel 404). What can viewers expect from Sky Sports Cricket? 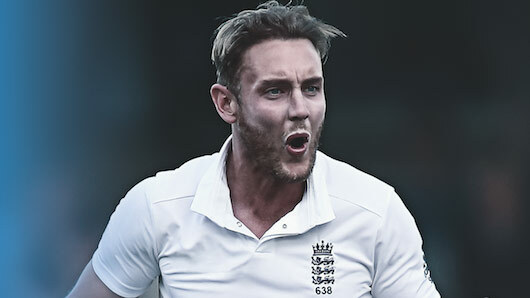 On Sky Sports Cricket, fans can watch exclusive live coverage of every home England International Test, ODI and T20 match. The channel will also be the only place to see the ICC tournaments. As well as broadcasting the best live action with award-winning commentary and analysis, Sky Sports Cricket will also welcome a range of new shows and documentaries. In the coming months don’t miss Cricket and the Rainbow Nation – a look at South African cricket from the days of their sporting ban during the Apartheid era to the present day – and Whispering Death: The Michael Holding, an in-depth look at the life and achievements of a cricket legend. What’s more, you can follow all the live cricket wherever you are with the new-look Sky Sports app!